This rack is an all-steel rack with a heavy-duty angle steel base, and an exclusive tray-lock system for supporting trays in the up position. Each tray has two rubber spacers. 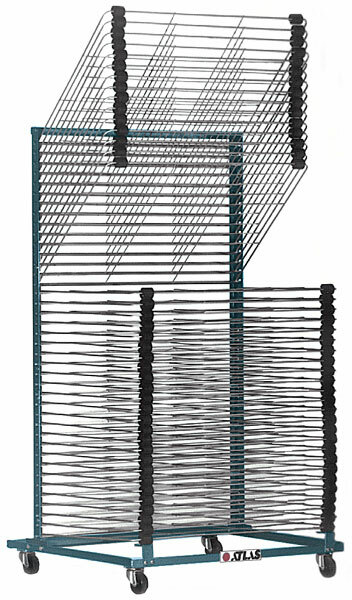 Each rack includes 40 trays with 1" spacing. 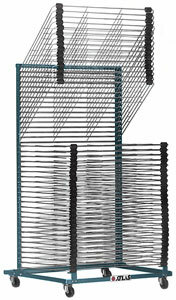 With all the features of the original Easy Ship Drying Rack, this rack provides double the capacity. It measures 54" (137 cm) deep overall, and provides a total of 80 trays. Trays are identical with those of the Easy Ship Drying Rack.